Earlier this month, The Economist carried a front-page story on ‘Aspiring Africa’ with the tag-line: ‘The world’s fastest growing continent’. The article praised the significant progress that has occurred in Africa over the last decade, highlighting the continent’s increased stability, higher number of democratic states, better health standards and flourishing economy. We seldom hear good news stories from Africa, but the reality is that Africa really is the world’s fastest growing continent right now: GDP is expected to rise to an average of 6% a year, foreign direct investment in Africa has tripled over the last decade, and consumer spending will almost double over the next ten years. By 2015, 100 million Africans will earn incomes greater than $3000 (the same income as India’s middle class today). Indeed, Africa is becoming more of a success story, in contrast to how it’s been depicted so often in the past, and Australia has much to benefit from and contribute to this aspiring continent. While Africa rarely features on the Australian strategic or political radar, the links between Africa and Australia are growing. Australia’s economic stake in the continent is substantial and Africa’s strategic importance in the world is growing. Our common outlook on governance in the Indian Ocean will inevitably draw Australia and Africa closer. So a deeper effort is needed on our part to understand Africa more thoroughly and to identify opportunities for enhanced cooperation. With this in mind, ASPI, in partnership with The Brenthurst Foundation of South Africa, are pioneering a senior leadership dialogue of Australian and African leaders. Known as the ‘Aus–Africa Dialogue’, this idea was first raised during an ASPI–Brenthurst Foundation Conference in Zambia in mid-2012, which also saw the launch of a special ASPI–Brenthurst report, ‘Fuelling the Dragon: natural resources and China’s development’. The conference was attended by Parliamentary Secretary for Defence Senator David Feeney, Deputy Leader of the Opposition and Shadow Foreign Minister Julie Bishop and a number of senior federal government officials and private sector representatives. The proposal received further support, including from Kevin Rudd and Ms Bishop, at the Africa Down Under Conference in Perth in August 2012. At a recent private ASPI–Brenthurst function, an Associate of The Brenthurst Foundation and Co-founder and General Manager of TransAfrika Resources, Congo born and raised Thomas Nziratimana, outlined his vision for greater Australian–African engagement. Speaking on the concept of an Australia–Africa dialogue, Nziratimana described the initiative as ‘an idea of utmost importance to the future of my continent and, I believe, also important to your continent’. 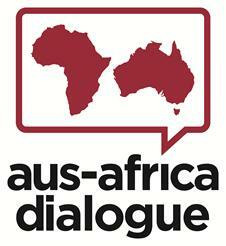 The Aus–Africa Dialogue—the first of its kind—will be held this July in Western Australia. For further information, check the ASPI website from May 2013.